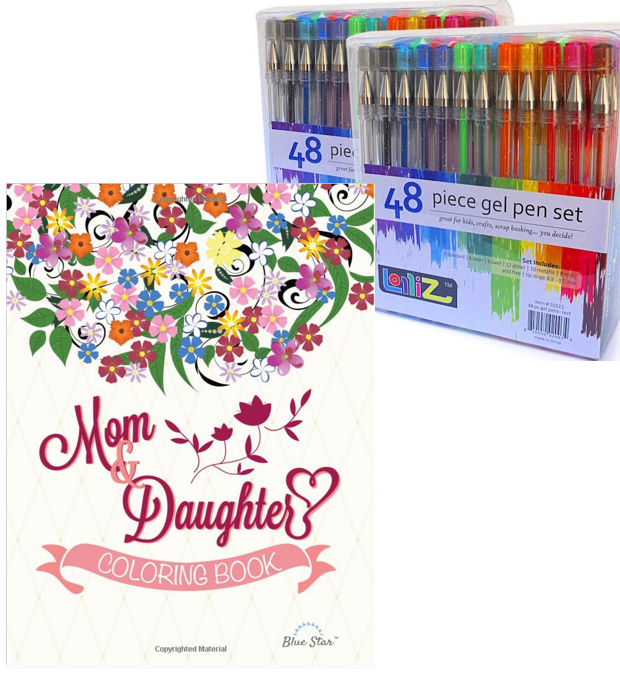 LolliZ Gel Pens (2 Sets) Just $14.99 + Mom & Daughter Coloring Book Just $9.99! You are here: Home / Great Deals / Amazon Deals / LolliZ Gel Pens (2 Sets) Just $14.99 + Mom & Daughter Coloring Book Just $9.99! Take those pictures you used to draw for Mom to a higher level this Mother’s Day! Draw together! Get 2 Sets of 48 count LolliZ Gel Pens for Just $14.99 + the Mom & Daughter Coloring Book for Just $9.99! Great pens to sketch, draw, color, doodle, write and get creative in a fun and skilled way. Convenient Artist packaging outfitted with four trays for easy reach and use. Acid-free Quality product at a great value. What a terrific way to spend time with Mom!